Welcome to Lavender Moon / Crones Cupboard! 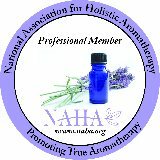 If you can't find what you are looking for or if you have any questions regarding Aromatherapy/Essential Oils, don't hesitate to contact me. I would be more than happy to answer your questions for you! Healing Oils for Mind - Body - Spirit! Telephone consultations available with a credit card!